Ok, I choose to stay in this truck. 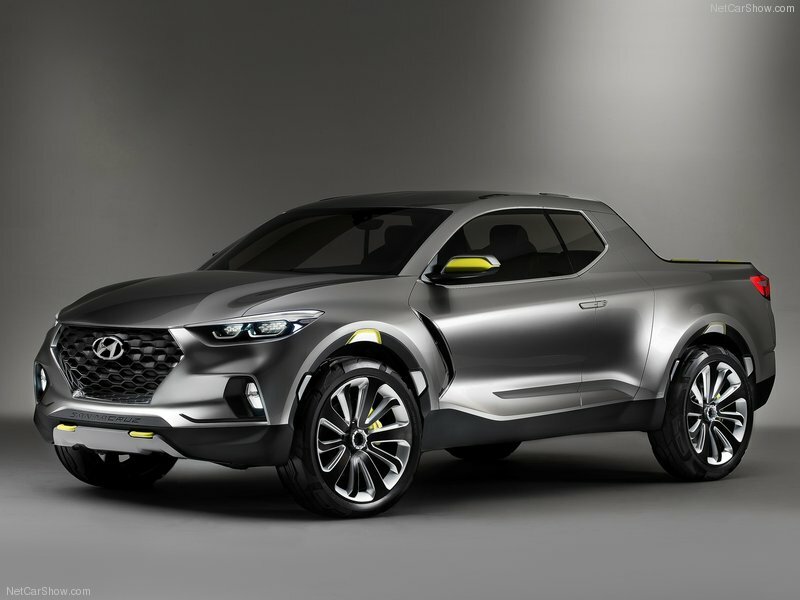 At Detroit 2015, Hyundai proved that it’s getting more American by unveiling the innovative Santa Cruz Crossover Truck Concept. 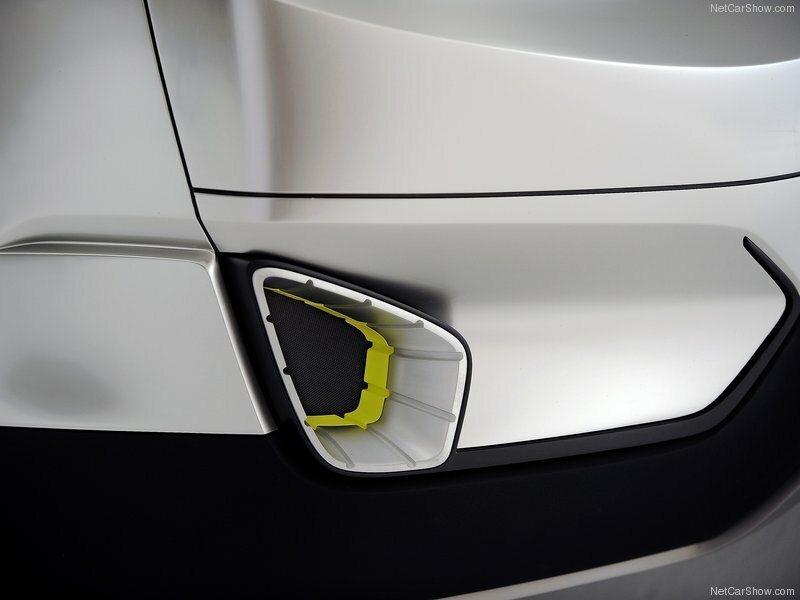 This fresh concept reflects a completely new interpretation of truck utility for a new generation of buyers, especially Millennials, who represent the second-largest population of car buyers. Modern urbanization is becoming one of the main market segments, in which millennials are targeted customers who have a different mindset, being very active both socially and in their communities. They are being engaged by technologies more than by a muscular outlook. Whether it’s loading up friends and firewood for a bonfire at the beach, coaching the youth soccer team, volunteering for a community restoration project, or a quick drop-off at the local recycling center, they need a vehicle versatile enough to accommodate both passengers and gear, while being efficient enough to fit into their unique urban lifestyle. 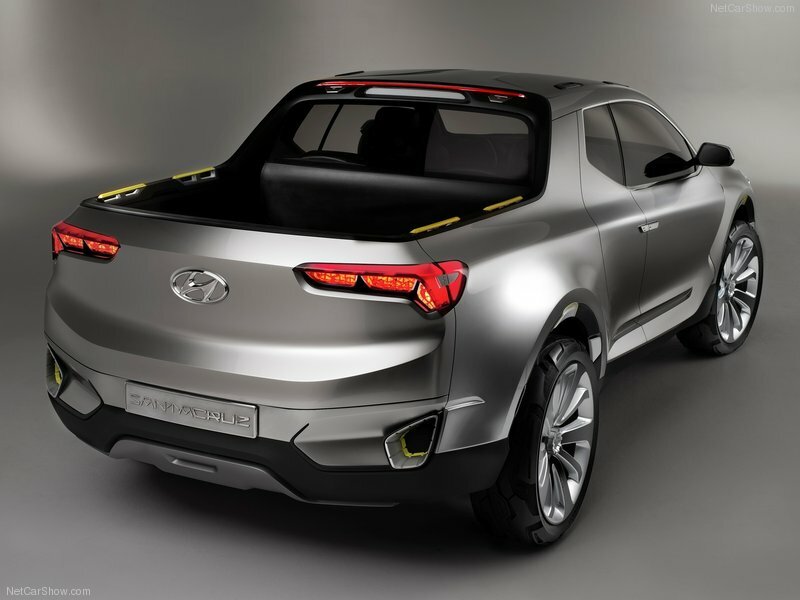 “This new crossover allows them all the expandable utility they need throughout their active week, from work-life professionalism, to social interests, to a whole variety of outdoor pursuits, without the typical compromises they have come to expect from the industry’s current product offerings,” said Mark Dipko, Director of Corporate Planning, Hyundai Motor America. 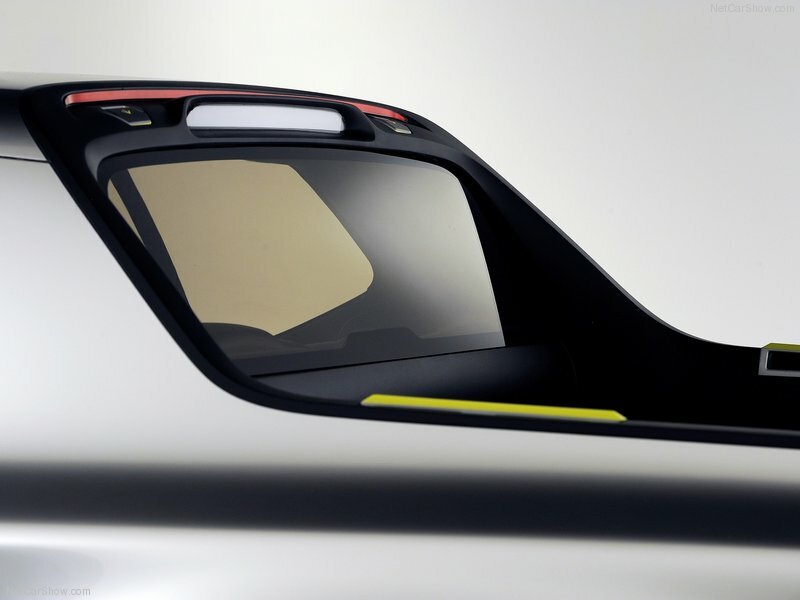 This concept is designed to meet more of young people’s expression, efficiency and maneuverability. 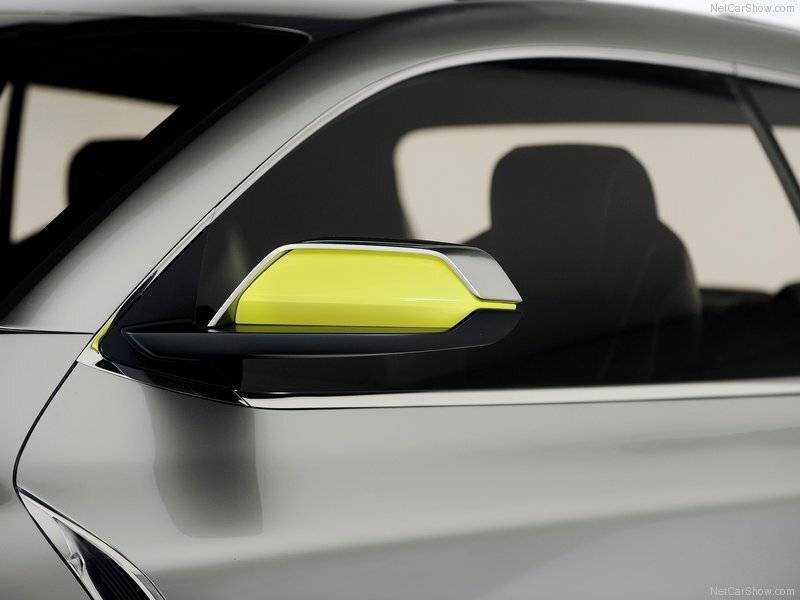 It has a bold futuristic design with a wide, sure-footed stance and an aggressive side-profile rake. 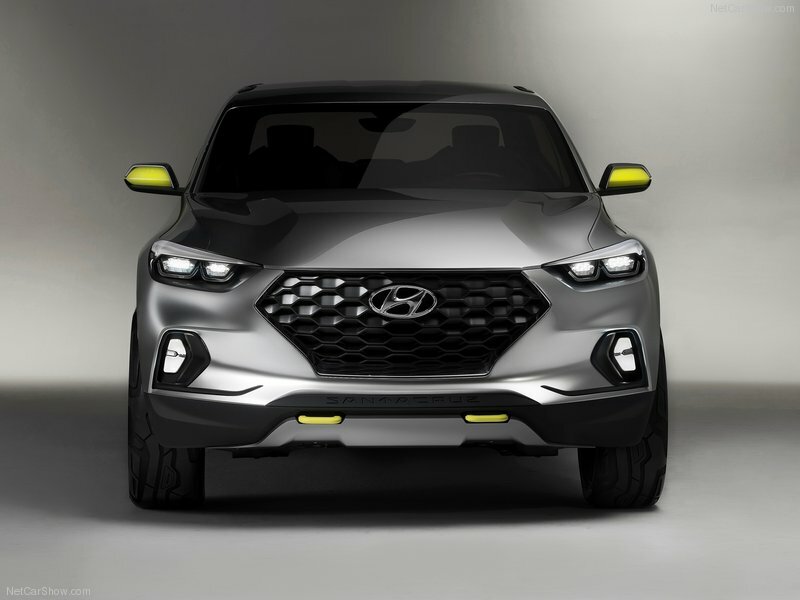 The front view features an upright, hexagonal grille with cascading lines framing the sides, dual lens-free, honeycombed headlamp projectors, and prominent LED fog lamps. 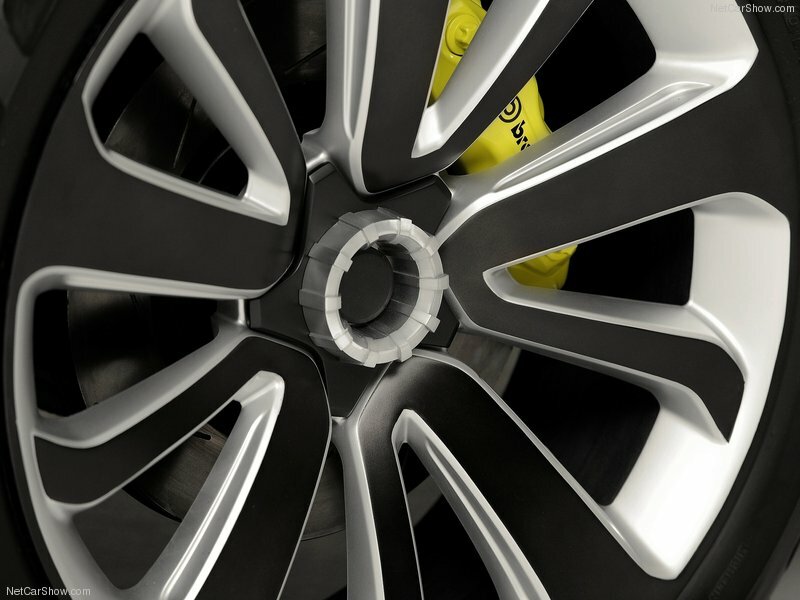 The side is highlighted by oversized wheels with a special tread design, center-locking hubs, and yellow brake calipers. 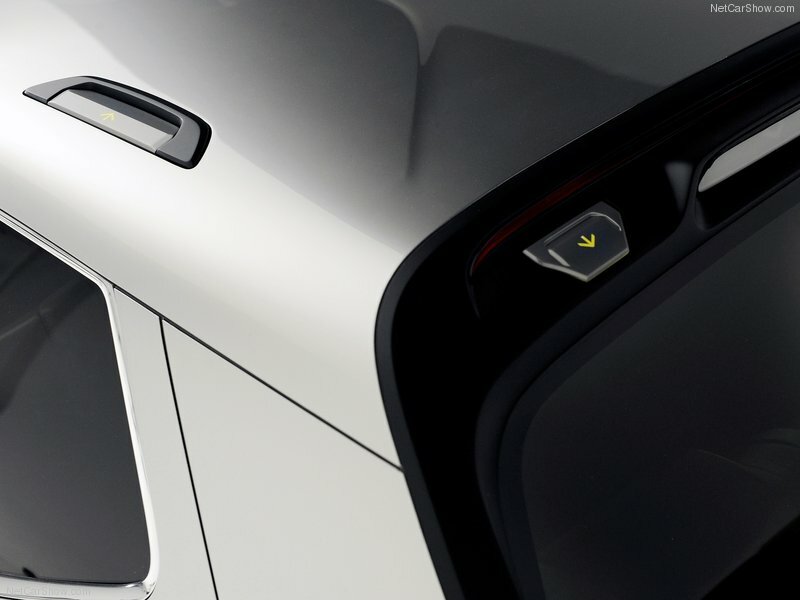 Flexibility is a key attribute of its advanced design. The wheel arches, roof, and bed rails offer convenient tie-down cleats for securing cargo of all shapes and sizes. With an environmentally-friendly 2.0-liter turbo diesel powertrain delivering 190 hp and 300 lb-ft. of torque, this truck is claimed to achieve the efficiency of up to 30 MPG. The Hyundai HTRAC all-wheel drive system secures the truck to avoid getting those snowboarding “fresh tracks” right after a storm moves through. There is a bulky gear in the back of the truck, cleanly separated from the passenger compartment to help you carry and secure your things under an integrated, rigid tonneau cover, which can be conveniently retracted when not needed. This Santa Cruz is the perfect vehicle for those who want the attributes of a CUV, but still have dirty stuff that belongs “in the back”. 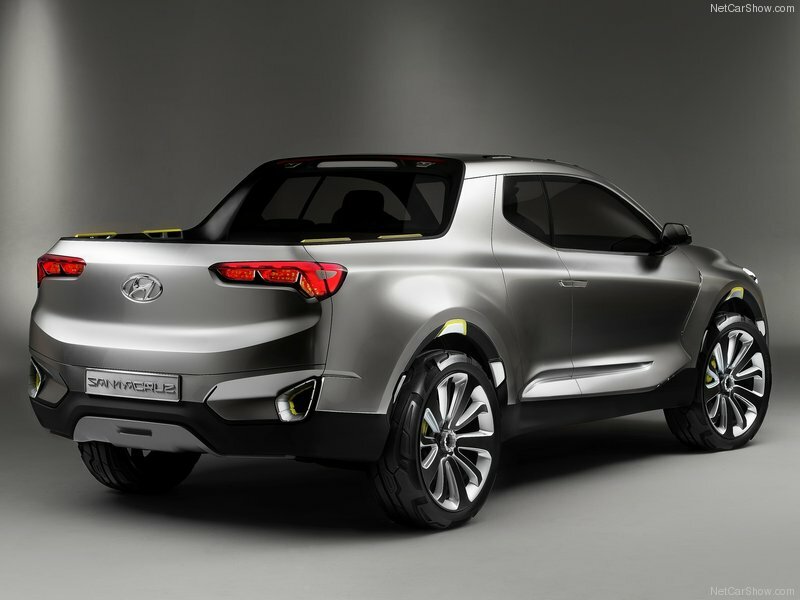 A concept that is too premium to drive around the town, yet lets the Urban Adventurer tow, load, and have a high ground clearance for any terrain any time. 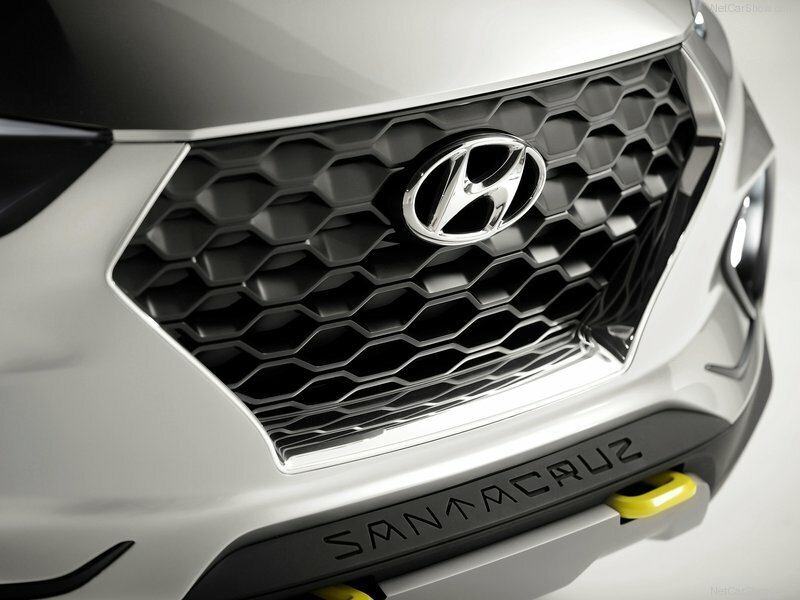 Hyundai didn’t provide any details about when will the Santa Cruz be put into production. But its message has been received.